The original idea behind LTE is that it would provide only wireless internet services. However, major revenue for cellular operators comes from voice calls and SMS and therefore Voice in LTE has become a hot topic. Recently, I got an opportunity to work with various voice solutions-the experience which I believe would be useful to share here. LTE does not have a 'circuit switch core' which means that we cannot have voice calls as it is in 2G and 3G technologies. In the initial LTE deployment cases however, operators are using their legacy networks along with their 4G network for voice services. So far we have heard of the following available voice solutions which I will discuss briefly. 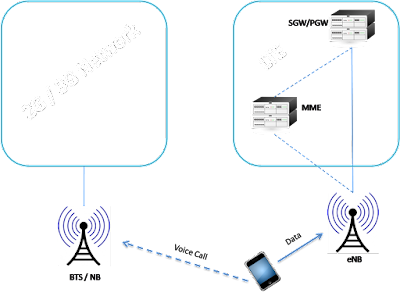 An operator who deployed LTE network, already owning a 3G or 2G network can take benefit from the feature called "Circuit switched fall back'. 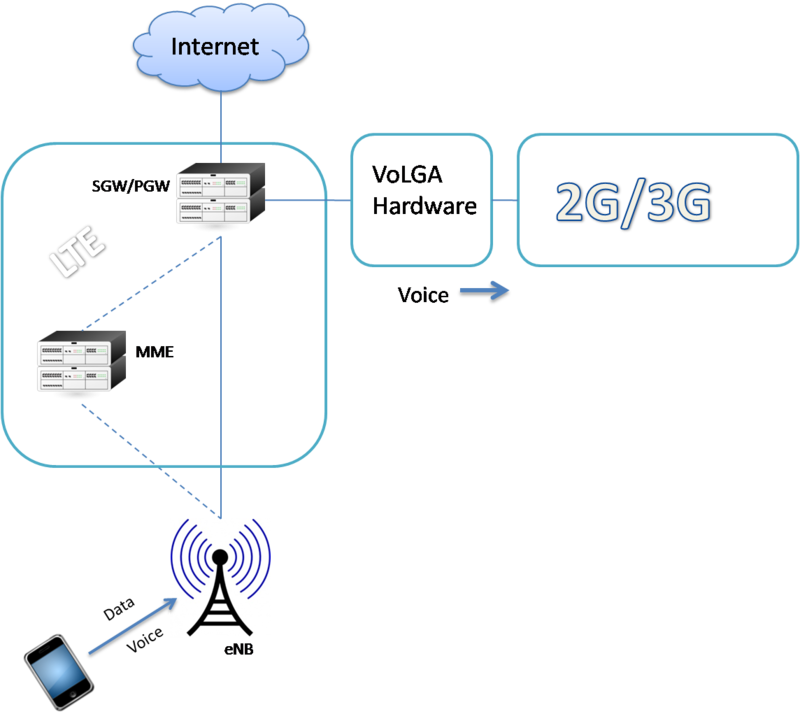 The main idea is that 4G smartphones are going to have a radio capabilities for 3G/2G networks as well. Such handsets can connect at a time either to LTE or 2G/3G . 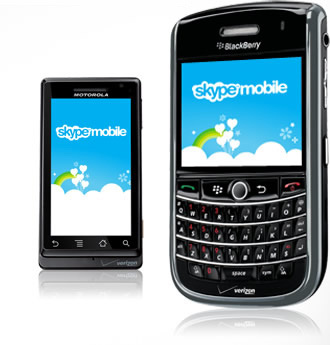 The shortcoming is that someone on voice call will not be able to use LTE network for browsing or chatting etc. CSFB for operator means very little investment since only few modifications are required in the network. Additional interface between MME and MSC is required (SGs). CSFB solution has also been standardized by 3GPP and has gained large industrial support. SV-LTE is handset specific in which handset is capabile of using two radios (LTE and WCDMA/GSM/CDMA) at one time. 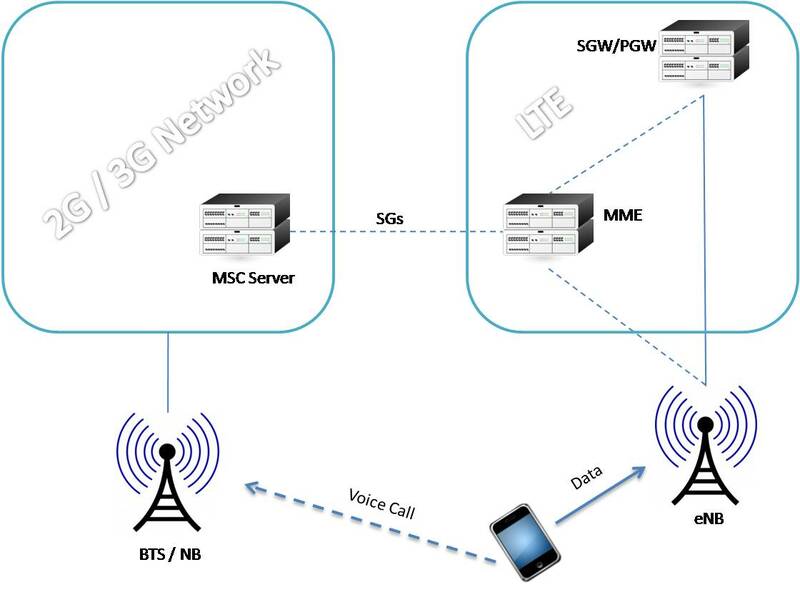 So a user can use packet services from LTE while voice call can be made on other networks simultaneously unlike CSFB. The shortfall here is high battery utilization due to dual radio operation. For CDMA and LTE pair, the SV-LTE is the standard solution and being widely adopted. There are already SV-LTE smartphones available in the market. I came across a few available for LGU+ in Korea and Verizon in USA. Both operate LTE networks as an overlay to their old CDMA networks. 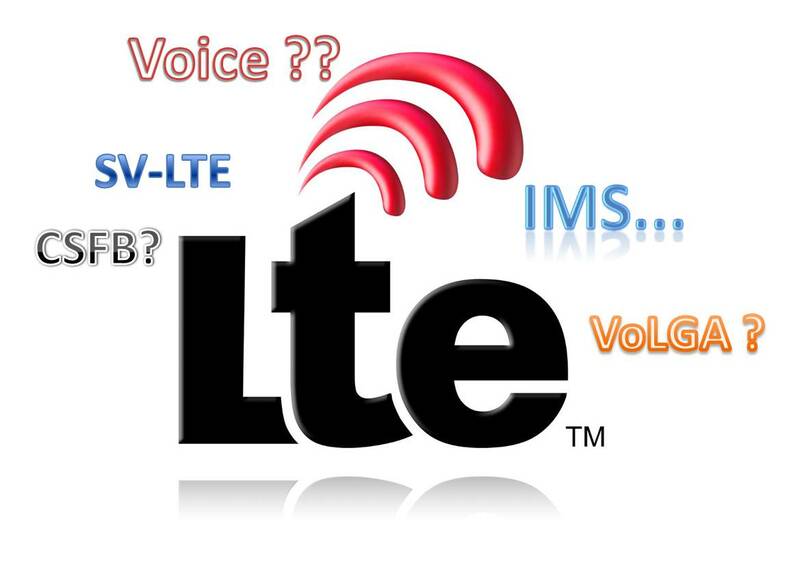 I believe this is going to be the most popular and widely adopted future voice solution for LTE. Instead of using legacy networks, VoLTE utilizes IP Multimedia Subsystem (IMS) and provides voice services using the application layer on LTE. IMS is a group of core network entities responsible for providing rich multimedia services over IP network. VoIP call, SMS, MMS, LIVE TV are a few such services. 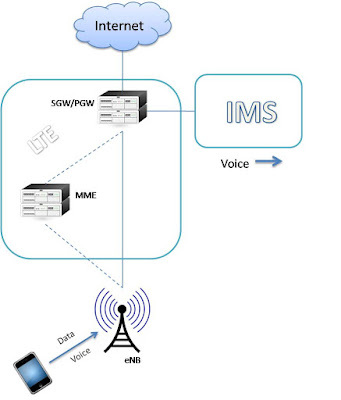 IMS has been in the communication industry for long but with the emergence of 4G networks, it is gaining popularity again. I think, operators will accept VoLGA as a last option for voice capability. This solution uses CS core only from legacy networks and also require new network elements. 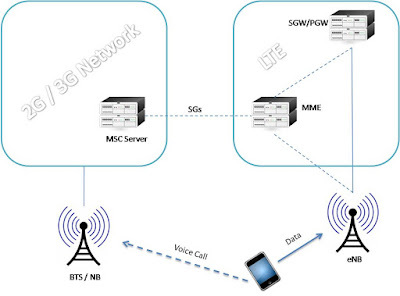 Therefore LTE handsets do not need 3G/2G radio capabilities since radio part won't be used from legacy networks. Good thing about this solution however is that unlike CSFB, LTE handset will be able to use voice and data simultaneously. 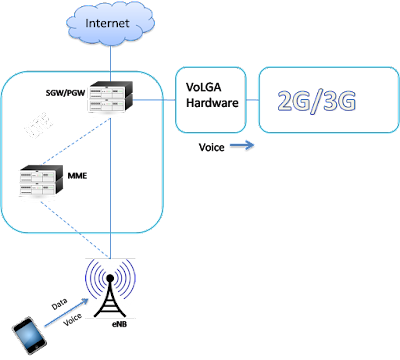 OTT is actually not LTE specific but a generic solution that we already have been using on 3G/WiFi networks. OTT application is completely transparent to network and also out of operators' control. I am talking about generic VoIP clients like Viber, skype, Tango etc. They do not give the real taste of voice flexibility as in other 3GPP networks and also lack the QoS for voice. Nonetheless, these will be widely used by the consumers as an alternative, because of the fact that it gives them full flexibility to choose their own service. Adnan, it is a great summary, concise and clear, the orientation you gave the article is perhaps not cleared by the title though. Adnan, appreciate this summary. It reads well for non-technologists, as well as technologists. From a public safety/mission critical perspective, gaining an LTE MCV solution is as much of a cost issue as anything else, as these markets cannot afford to continue to build and maintain two separate communications systems in the long run, and must gain mission critical data and video capabilities without compromising their current mission critical voice capabilities. Finally, what are the emergency call implications for each of these options, with respect to US "911" and other countries' counterpart systems/networks? As commercial providers ponder these options, these are issues they should be incorporating into their thinking, as governments and consumers expect and will demand them anyway. With the right attitude, industry can capitalize on these expectations to partner with government and customers to create new products and services applicable to the larger consumer space based on these public safety needs, as has been previously realized with location-based technology. Hi Adnan, I am new in this blog and while I was reading through this Voice solutions in LTE, above I found one that you refer as to Voice over LTE via Generic Access: You mentioned that this solution uses CS core only from legacy networks and also requires new network elements. Therefore LTE handsets do not need 3G/2G radio capabilities since radio part won't be used from legacy networks. Good thing about this solution however is that unlike CSFB, LTE handset will be able to use voice and data simultaneously. My question is: How is this Voice in LTE solution will be or is implemented since it only use the CS legacy core network to make it happen? It is not clear to me about the RF transmission part for voice only. Will it overlap over the LTE (OFDMA / SC-FDMA) frequencies (in-parallel frequency tansmission for voice only?) in order to be able to enable voice and data simultaneously?? And what is the new network elements used for this to happen? LTE UE will establish ipsec tunnel to the "new network element" which exist between LTE and legacy CS network. This new network element is referred to as VoLGA Access Network Controller (VANC). There is no need for new RF transmission part. Since you know LTE is all IP based. therefore the voice traffic between LTE device and VANC is IP based (VoIP). This scenario is pretty similar to VoLTE (IMS) except we will not be using ims core network but LTE radio side will pretty much act the same way. Very informative, choosing the right solution for your business is essential and one should do extensive research before selecting a reliable provider like ThinkTel.